Facebook knocked it out of the park with its financials last week, and a lot of its success comes from Zuckerberg’s unique focus. Unlike other firms that jump from project to project, ranging widely from what makes them money — like Google — Facebook stays close to what made it successful. There is no stronger evidence than when you compare the two office projects from Apple and Facebook. The huge Apple Flying Saucer (sadly, it doesn’t fly) is nearing completion. Facebook recently announced it too was building a new showcase site, called “Willow,” but Facebook was building the first arcology at scale. This will give Facebook some bragging rights. While its new campus might not be as advanced-looking as Apple’s, it will be more socially, environmentally and organizationally attuned. millennials really like two of those three concepts a lot, suggesting Facebook will be more attractive to the best and brightest, and that its site will be more advanced where it counts. I’ll explain why Facebook will soon set the bar when it comes to forward-looking office design at scale, and why its new facility may represent the future of office design. 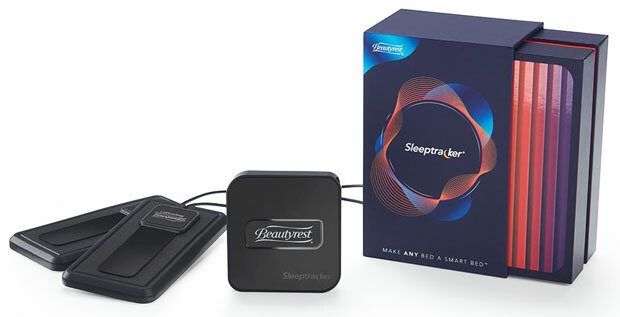 I’ll close with my product of the week: the Sleeptracker, an interesting sleep aid from Beautyrest. An Arcology is basically an environment that combines employees’ living and work spaces into a self-contained whole. The first time I saw this concept was Walt Disney’s city of the future, which was supposed to be EPCOT(Experimental Prototype Community of Tomorrow). Sadly, Disney died before achieving his dream, and Epcot became kind of a mini world’s fair instead. There continued to be visionaries who saw the potential for a contained ideal world for employees, but for the most part, no one really executed. That seemed rather strange over time, because firms — particularly in technology — covered almost every base but living. Top firms for years have subsidized or provided free food. In addition, they have laundry services, car wash services, transportation services (bus and plane), restaurants on campus, bakeries on campus — and they help you find a place to live when relocating for a new job. When Apple built its new campus, the local city council wanted it to include housing, largely because traffic where it built already was horrid. In one strange incident a few years back, a man who was contemplating suicide (nothing to do with Apple) basically froze all traffic in Silicon Valley. Even the surface streets were grid-locked. When you drop thousands of new employees into an area that already has massive traffic issues, you won’t have happy employees or neighbors — and a lot of those neighbors buy Apple products. On the other hand, Facebook has a self-contained facility with Willow. People live and work there, and it is modeled after a Disney property, suggesting Zuckerberg channeled Disney. It is designed not only to be a great place to work, but also a great place to live. Most folks will be able to walk or ride a bike to work easily. The only issues they likely will have are from tourists who may descend on the facility in droves, suggesting they’ll likely have to secure the perimeter much as they do a Disney park, as many of the firms in Silicon Valley do anyway. One of the ways firms can recruit employees from their competitors is by providing a better work-life balance, basically ensuring a higher quality of life. By combining living and working in a contained environment, Facebook not only does that, but also improves the social nature of the entire working experience, which is consistent with the company’s mission. The Willow site becomes a physical representation of the Facebook ideal and model for the firm to move forward. Further, it establishes Facebook as a leader in providing a social experience and in showcasing that it wants that experience to be more than superficial. This is important, particularly if you value initiatives like work/life balance and diversity. Since millennials in particular do value these concepts, this effort should ensure that Facebook can out- recruit Apple in the long term. Apple is now a firm that’s laser-focused on raising prices and lowering costs. That trend isn’t sustainable indefinitely, as there is likely a ceiling for how much more someone is willing to spend for an Apple product and a floor for when suppliers start going out of business. Facebook is improving its results by focusing on providing a better product and by ensuring that it has the best people, who stay focused on the job at hand. To me, that is a far more successful way to operate, and the concept of aligning financial results with making customers and employees happy just seems far more desirable then being defined by high prices and abused suppliers. I met Phillipe Kahn years ago at a party the night of the Windows 95 launch. He’s a fascinating guy, who was responsible for starting some of the most interesting Silicon Valley companies. Kahn currently runs Fullpower Technologies, which specializes in IoT and wearable solutions. He pinged me a few weeks ago about a product he was working on for Beautyrest, called the Sleeptracker. It tracks sleep — with a name like that, what else would it do? I was intrigued, so he sent me a device and I started using it last week. It isn’t cheap, at $200, but if you value your sleep it appears to be a good investment. Unlike wearable sleep trackers, you install this one under your mattress so you can charge your fitness tracker at night. This always was a problem for me, because if I used my smartwatch for sleep tracking I tended to wake up with a dead watch — plus the display tended to wake me up (I’m a light sleeper). The Beautyrest Sleeptracker just works in the background, and after you wake up you get an email with the night’s performance. The first night I used it, I apparently slept like a baby and was perky. After the second night, I woke bone tired. The Sleeptracker pointed out that the quality of my sleep had gone down sharply. I expect it was because I had a heavy late dinner, so I won’t be doing that again. The Sleeptracker compares your stats to others in your age group to help identify anomalies, and you get a score that you are encouraged to improve over time. If you have small pets sleeping on your bed, this thing adjusts for them, and it works with both Apple HealthKit and Amazon Alexa. Like Arianna Huffington, I believe sleep is important, and this is helping me focus on making it better. I’ve only been using it a few days, but so far I’m sold. Anything that helps me sleep better is a godsend, and it’s ideal for my product of the week.